Three kids. One pregnant cat. And one perfect nanny... 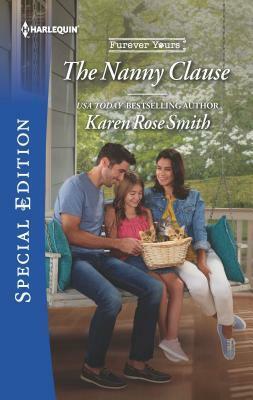 When Daniel Sutton's daughters rescue an abandoned calico, the hardworking attorney doesn't expect to be sharing his home with a litter of newborns! And the adorable kittens aren't his only houseguests. Animal shelter volunteer Emma Alvarez is transforming the lives of Daniel and his three girls. The first-time nanny is a natural with kids and pets. Will that extend to a single father ready to trust in love again? Contact her through her website www.karenrosesmith.com or KarenRoseSmithMysteries.com if you'd like to belong to her street team or her readers group on Facebook. 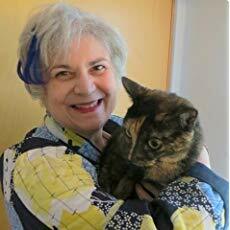 She welcomes interaction with her readers on Facebook and Twitter, and would love to chat about plotlines, titles, emotions, heroes, heroines, music, books, gardening, cooking, or anything else readers deem noteworthy!